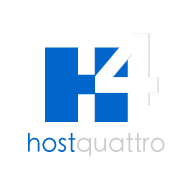 HostQuattro.com, an HDPIXEL company, is privately held and based in California, USA. We are focused on the deployment of mature e-commerce solutions for the Microsoft and Unix environment. Our mission is to provide friendly, professional, reliable web master and hosting services to small business and entrepreneurs everywhere. We have over 15 years of experience and only partner with the best in the business. We use three separate data center: Chicago, Michigan, and Texas. Our vendors commitment to excellence in service and dedication to customer care have made our services reliable and assure that our customer needs will be met. We choose vendors because of their commitment to simply provide the best speed and stability. Amazon, RackSpace, WireTree and LiquidWeb own state of the art networks in multiple locations which include redundancy in every possible design aspect. Therefore, we are able to offer the industry most reliable, advanced, and secure complete managed hosting solutions. We offer convenient methods of communication. We love to talk to our customers and helping them succeed is gratifying and is our primary goal. We hope you can join us and experience the level of service you and your company deserves!